This story was written by Ben Craig, Len Kody and Nicholas Moroni. Bobbie Henry, of Chicago, began selling handmade jewelry and art pieces at the original Maxwell Street Market in 1976. She relocated to the new Maxwell Street Market, on Canal, in 1994.­ Today, she has a booth on a prime spot at the market's latest location, on Desplaines, just north of Roosevelt. "Another thing that's fading me out of this," Henry explained, "is I'm going on eBay with most of my art." 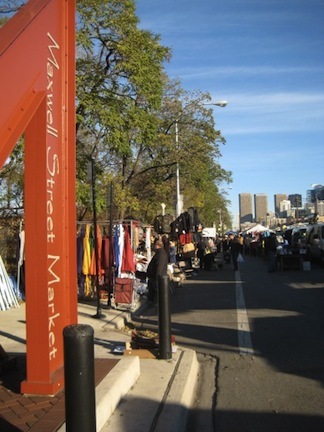 The present Maxwell Street Market is open Sundays, from 7am to 3pm, on a short stretch of Desplaines Street north of Roosevelt Road. But many of the people who bought and sold goods at the original market say that its current incarnation, sanctioned and organized by the City of Chicago's Mayor's Office of Special Events, hardly measures up. "I was selling leather clothes and bags [on Maxwell, and on Canal]. I would make $3,000 every Sunday." Henry said, "Now, I only make $200 or $300." Longtime Maxwell Street patron Frank Kam remembers the old market before "the University [of Illinois at Chicago] took over." It had "the smell of polish sausage and onions floating around." Sal Villarreal, a Streets and Sanitation worker who works the present-day market, remembers going to the Maxwell Street Market when he was younger, in the 1970s, and said it was "a lot more livelier than this." "The feeling of the city is gone with this market," Villarreal explained. "This is the smallest I've seen the market." "The other market was better," he concluded. "Maxwell Street was one of the only places I knew where people socialized across race and class,"said Steve Balkin, an economics professor at Roosevelt University. Balkin led an unsuccessful opposition movement against the University of Illinois' (UIC) city-backed demolition of the area where the original Maxwell Street Market once operated. The street and the neighborhood were razed to accommodate the university's expansion. The market began in 1871, and was largely comprised of poor, Eastern European Jews, according to the book, Voices of America: Jewish Maxwell Street Stories. It soon became, and would remain, a melting pot of cultures, following the northern migration of southern blacks in the early 1900s, as the book notes. For decades, people came to "Jewtown" (a term that many claim has no prejudicial undertones, and was used widely throughout the market's history) to haggle for bargains or to supplement their incomes by selling goods of all kinds. Near its end, city officials made the argument that the market was a supposed breeding ground for the sale of stolen merchandise, to push for its demise, Balkin claimed. "It's a problem with any flea market," Balkin said. "Were there crooks on Maxwell Street? Yes. Are there crooks in the city council? Yes." Today's Maxwell Street Market is smaller than it was in previous incarnations. Photo by Len Kody. Fewer people come to shop at today's market, according to data from the Office of Special Events. The sprawling individualism of the old market is gone, and with it, the overall freedom, several vendors noted. "I miss the freedom," said vendor Vince Hernandez, of Chicago, as he haggled with a prospective customer over the price of 1,000 feet of packaging tape. "This is too organized and too monopolized," she lamented. Rick Brunious, whose days as a street merchant date back 50 years, stood behind a row of Kirby 2000 Limited Edition vacuum cleaners propped up on a table while he spoke. At the old Maxwell Street Market, Brunious slept overnight to reserve his spot-- such survival-of-the-fittest type behavior was necessary in order to operate there, as some vendors were known to steal others' spots. Today, the spots are assigned and vendors pay $65 weekly to hawk their goods-- more than double the $25 cost at the old market. The increased overhead squeezes vendors in an already tight economy. Parking is also a major issue. Merchants and patrons who drive are now forced to pay to park at nearby privatized pay boxes, or at UIC's parking garage-- deterrents for many people searching for a bargain at the market. And, in addition to Maxwell Street Market's sparse parking, Internet auction sites like eBay could pose a very real threat to the survival of flea markets, vendors said. "It's not good," said Brunious of the day's business. He has a dark outlook on the current Maxwell Street Market's future prospects. "This is going to be gone," he said. As the sellers and their clientele opt for alternative avenues of commerce, a rich part of Chicago's history may disappear on a little stretch of concrete next to the Dan Ryan Expressway. "This is valuable property," Brunious observes. 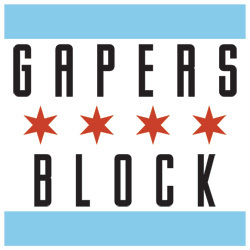 "It's near the Loop and then you got all these vacant buildings." He continues, "If they're vacant, they're going to knock them down one day. And then you know what they're going to do. We probably won't be here." However, where some remain dismal about the current economic climate, other vendors, like Vince Hernandez, see opportunity. Hernandez works a booth piled with many rolls of adhesive tape of all kinds-- duct tape, packing tape, painters tape and so on. "We should be okay," he said. "I just sold a guy two cases of shrink wrap because he's buying a foreclosed home. That's going to be some business." And Hernandez believes he is well placed, at the Maxwell Street Market, to observe the economy's inevitable recovery. "When people start buying houses, they're going to buy tape to paint, they'll buy tape to move. Everybody needs tape," he said. "When they start buying more tape, I'll know the economy is getting better." He added, with unwavering optimism, "Believe me. I'll know." 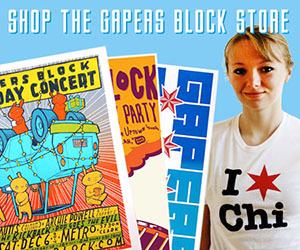 The same things that the Maxwell Street Market was known for are still alive in Chicago. It's time to revitalize the market. The infrastructure is there, the location is great and it's all City approved. 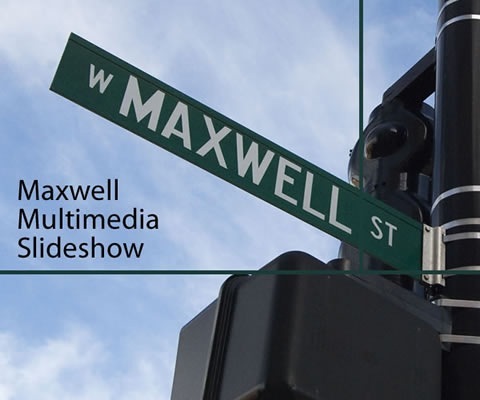 There's no better time than now for anyone who crafts their own goods, for food vendors and musicians to find out more about Maxwell St. and get involved. Maxwell St. already serves the best Mexican street food in the country. Let's add more street food to the mix, why not? Let's add specialty produce vendors in addition to the large wholesale vendors that are already there. Blues, alt country, rock, djs, street performers--bring them all. What have I missed? I think not maxing out maxwell st. is missing out. in addition...how many abondoned or soon to be abandoned commercial buildings in that vicinity? These will function as permanent, indoor markets. Anyone who goes to the MSM looking for high-quality regional Mexican food at a good price will not be disappointed. As a customer, I've never had trouble parking. The "things were better in the old days" paradise-lost perspective is short-sighted. Things change. I've been going to the market since 1967 (and many would probably say it was already in decline then). I still go several times a year and I love the place. It's different than it was, and in many ways better. There's less crime and more organization(not a demerit in my book)...and it offers lots more interesting chow than the Maxwell Street Polish. Great job on this piece, guys. Good reporting and a nice slideshow to boot!